LX500C Color Label Printer with Label Cutter | Label Printers & Digital Presses | Primera Technology, Inc. 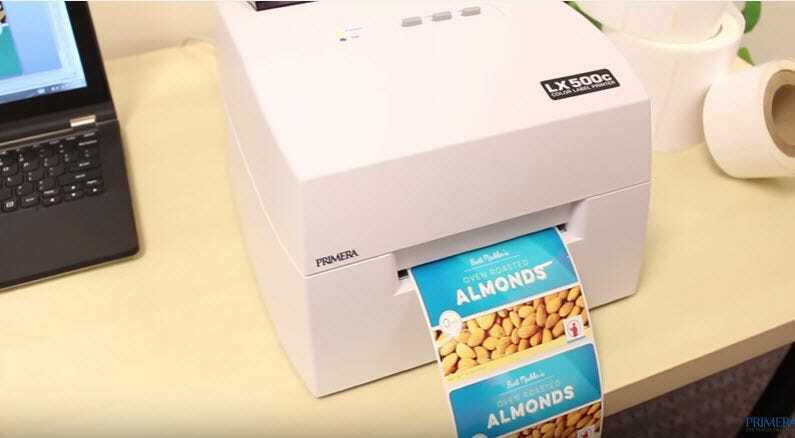 The LX500c Color Label Printer prints full-color, photo-quality images and bar codes on highly water-resistant and scratch-resistant labels, and also includes a built-in cutter. Your labels can include full-color photos, illustrations, graphics, text and bar codes. Print them when and where you need them – in quantities you can really use! Best of all, depending upon the quantity you print, the price per label will be significantly less than labels printed on flexo or offset. From initial set-up to full operation, the LX500c is easy to use. Plus, everything you need to start printing labels is included in the box. Each LX500c ships with BarTender® UltraLite Primera Edition software, sample roll of high-gloss labels, ink cartridge and USB cable. 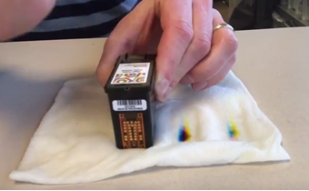 You’ll be printing full-color labels within minutes of taking the printer out of the box. Need to make larger labels? The LX910 and LX2000 have nearly all the capabilities of our LX500c, and can print labels up to 8.00" wide and 8.25" wide respectively. LX500c Color Label Printers include one dye-based color ink cartridge, BarTender UltraLite Primera Edition software, printer drivers for Windows 7/8/10+ and Mac OS X 10.6 or higher, starter roll of 4" x 3" Tuff-Coat High-Gloss Inkjet Label Stock, USB 2.0 cable and instructions. Requires an available USB 2.0 port.